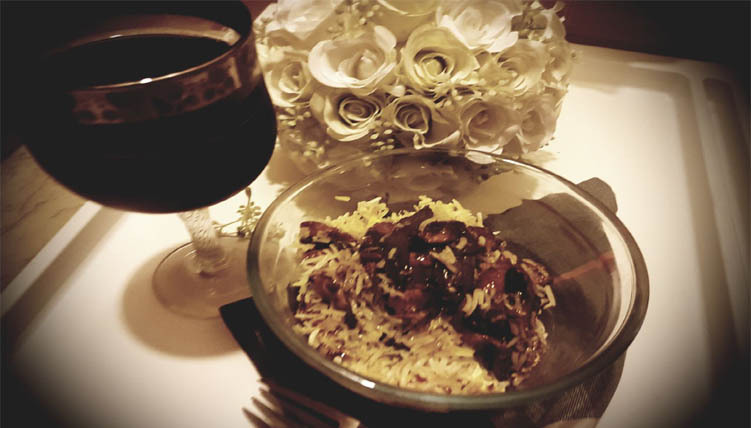 Review On Chicken Chili Dry: Its Saturday Night and the perfect weather to go on a Romantic Date, enjoy a three course meal, and go for a long drive to blow off some steam and get rejuvenated for the coming week. Before you start relaxing let me burst the bubble, truth be told most of us are single and broke, or not single but still broke! Who are we kidding, it’s the end of the month and the wallets are nearly empty, except for a few bills of hundred and tens. But that does not mean we do not need to relax or get recharged. Here’s a plan! Let’s order in and Netflix! Woah! Trust me it’s the perfect package! So here’s what I ordered for last Saturday, a Single Plate of Chicken Chili Dry from The Al-Mashoor Fancy “Karachi BBQ”, and trust me it was the best Rs.440 that I ever spent. Through in a 50 and enjoy a chilled Coke, or Diet Coke, or Sprite to make it a perfect meal. I ordered from the H-Block DHA Lahore and the order was delivered within 30 minutes. The rider actually did remember to give me a “miss caalll” instead of ringing the bell. The food was hot and the PTCL Internet was working, and it made me feel like a Princess. So the honest review apart from the puns and jokes would be that it was not all that bad. In fact the serving size was “Good” as Joey says. So its even an option for all those lucky lads and girls who aren’t that single. The Chicken Chili Dry itself was adorned with a lot of Chili’s which is perfect for the desi spice lovers, and the rice was cooked to the right amount. The amount of Chicken in the gravy was generous, the gravy itself may taste a bit too salty for some but with the rice it tasted really good. It may not be your fancy shpancy Chinese because honestly look at the price. However, it’s a perfect option for the days when you are almost broke or had a long motivational speech from your Mother on the benefits of saving. To conclude, I was able to relax and recharge my brains to some extent. The food was good, it was cheap, and accompanied with Netflix and a Diet Coke it tasted like heaven. I would definitely recommend it trying it once in a while. Just don’t store it in the fridge for more than three days, Chinese rice tends to go bad in two days. Overall verdict would be “Good” if not Excellent!